Excited to share 2 awesome green companies with you today! 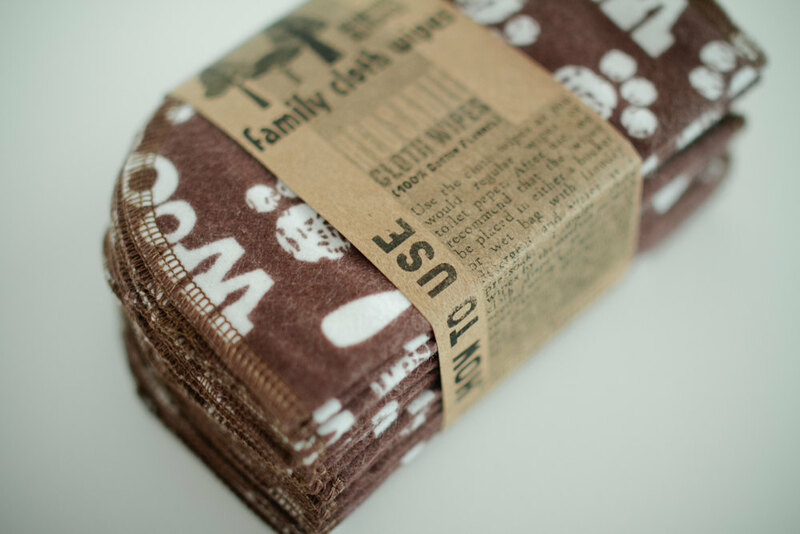 Family Cloth Wipes ~ you’ve seen them before right here! Now I’ve used these fabulous wipes for two years and I can tell you that I still love them! When someone asks me who I would recommend for cloth, I would say Family Cloth Wipes! Aren’t they pretty? I just added these beachy blue to my collection. Check out all the uses! • Family cloths (an economical alternative to toilet paper) —-> check out my awesome review from 2 years ago! I still use them daily and love it! • This is also a wonderful alternative to harsh and rough toilet paper for people who may be suffering from bed sores or other medical conditions. Do I have you convinced that your house needs Family Cloth Wipes? They really are SO soft! 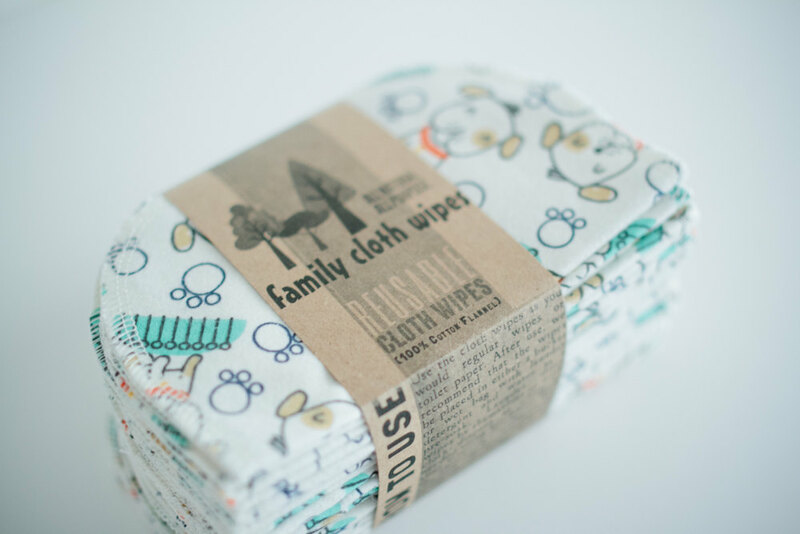 Find Family Cloth Wipes on Etsy. Follow along on Pinterest. Tweet tweet on Twitter. Now I’ll share a company that is new to me and very special in itself. That just impresses me right there and I love it. Now wait to see their awesome green products. 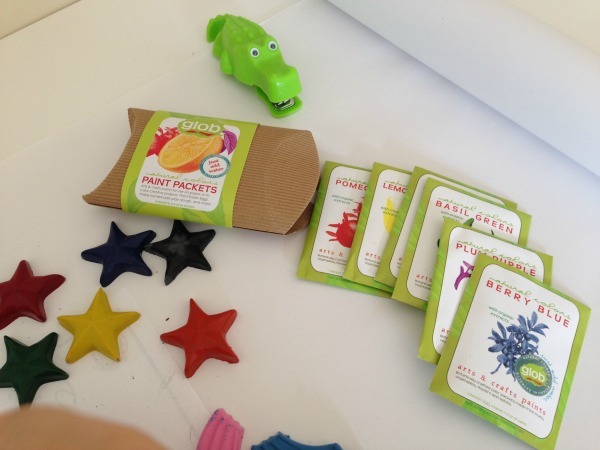 Eco Stars Recycled Crayons. 100% recycled crayons & packaging. 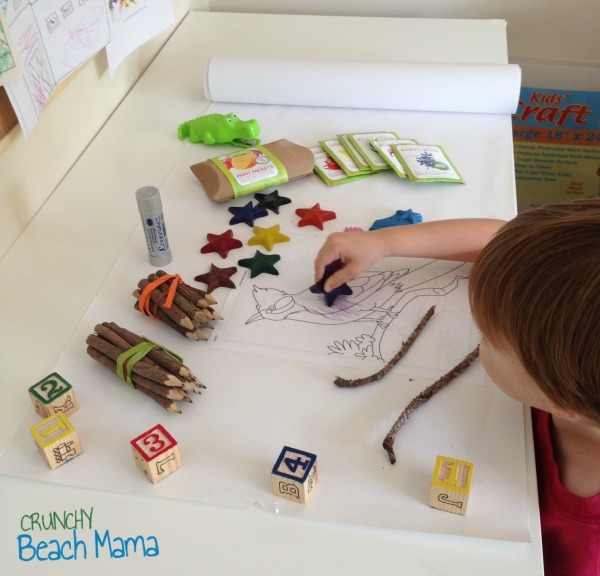 These crayons are also non-toxic because they go through an extensive sorting process to use. ONLY crayons certified with the Federal Government (U.S. Consumer Product Safety Commission). glob Paint. These water-soluble pigments become paint just by adding water. Similar to watercolor, fingerpaint or tempera, depending upon how much water is used. All natural. Non-toxic. Faber-Castell Recycled Newsprint Art Paper Roll. 18″ x 75 feet roll. Made from 50% post-consumer recycled materials. This is great for so many things!! Coccoina Glue Stick. Non-toxic, non-solvent, and acid free. Can be removed by water. Jungle Vine Pencils. Beautiful and unique, these pencils are a fun way to write your notes. While they are thicker than the average pencil, they are comfortable to hold and very light. 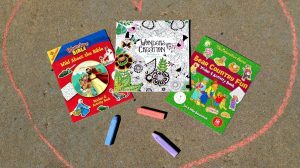 You will see us using all these products throughout this school year as I blog about our preschool homeschool adventures. The kids think it’s cool to have these different items to use and I am loving how we are supporting the environment. Visit GreenAppleSupply.org because they are LOTS of great stuff – more than just school supplies! Follow along on Facebook, Twitter and Pinterest. My kids would love the Green Science- Green Rocket from Green Apple Supply! I like the ChicoBag- Messenger12 rePETe. I would like to have the Bubbles Stainless Steel Water Bottle, Assorted Colors. I sometimes will buy bottled waters. I want these so I don't do that. I love the teal color, but for every day use I am most drawn to the Eco-Friendly Baby Wipes Cloth Wipes Baby Wipes ( Yellow - Blue - White - Grey). 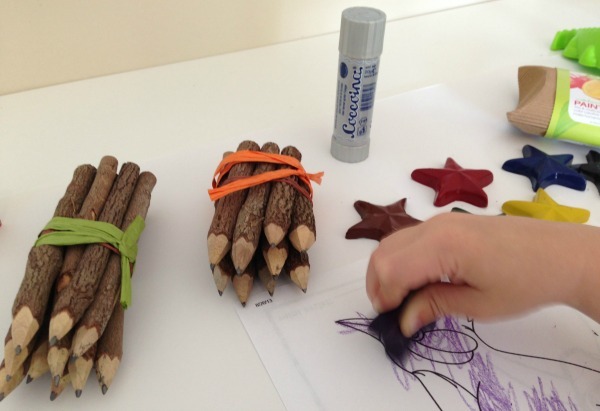 Love the Crazy Crayons Star Shape at Green Apple. So fun for the kids! I love the Crazy Crayon Hearts from Green Apple Supply, they would be so sweet as part of a Valentine card! I would love to try the J.R. Liggett's Old-Fashioned Bar Shampoo- Virgin Coconut and Argan Oil. I have never seen Shampoo in a bar form! I really like the Family Pack Family Cloth Wipes Flannel Baby Wipes Set of 50 - Brown & Green Polkadots Double Layer. The Green Apple Supply site is too awesome. I like that the cloths come in SO MANY patterns. There is a design for everyone! I love all the patterns from Family cloth and the art supplies are awesome from green apple supply. I love the solid purple washclothes!! I like the Broadway Recycled Clutch at Green Apple. I like the Bottlecap Bowl at Green Apple Supply. Thanks! I love the 100% Linen Shawl.. I love that Family Cloth wipes has reusable diaper pail liners. Though I don't have babies anymore, that's great for someone who does! I love their eco art suppplies. 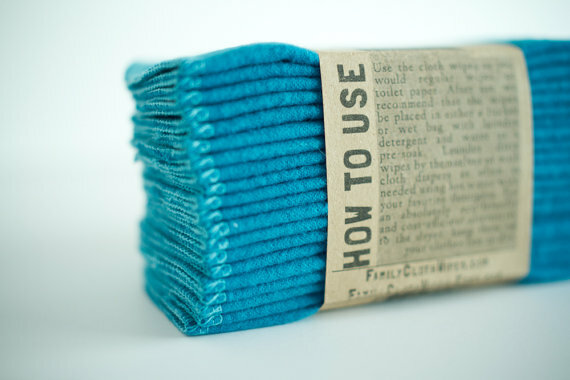 I love the Eco-Friendly Solid Teal Baby Wipes Cloth Wipes Set of 20 , the color is so nice. I like the colors and fabric options. I like the Forest Choice Colored Pencils from green apple supply. My son would love the Makedo Find & Make Car from Green Apple Supply. I like their Bottlecap Bowl. I love all the eco art supplies, but especially the Jungle Vine Colored Pencils. I love all the eco art supplies. I especially the Jungle Vine Colored Pencils. I love the crayon stars. Ok, pretty much all of the art supplies. I would love to get a set of Eco-Friendly Solid Teal Baby Wipes Cloth Wipes Set of 20 Baby Wipes - Reusable Flannel Wipes. I love the variety of colors and patterns of the cloth wipes. I like the eco friendly cloth wipes with the ladybug pattern. At Green Apple Supply I like the Wax Lodge Bark LED Candles. I love the Bedol Drop Water-Powered Clocks! I really like the teal wipes. My favorite color! I love the Bedol Drop Water-Powered Clocks. I'd love to try the Organic Essence Lip Balm in Almond! I like that you can build your own wipes. Love the strawberry shortcake wipes! Build your own custom set. I love anything that I can easily customize. I love the pencils and crayons from Green Apple Supply - we have them too! And I'd love to get some Family Cloth!! i think the Bottlecap Bowl is pretty neat! I love the variety of colors/patterns but my favorite is the girls variety pack set. Would be a great multipurpose cloth! Love that they come in many colors and patterns so that I can leave them out for quick access but won't be an eyesore. My favorites are the polka-dot and little puppy print! I love the Family Cloth Wipes that look like they have robots on them! Like the "Eco-Friendly Cloth Wipes Baby Wipes Set of 15 - Reusable Flannel Wipes - Cloth Wipes - Green Polkadots" at Family Cloth Wipes ; and the Happy Hippo lidded basket at http://greenapplesupply.org/shop-green/gifts/tins-planters-baskets/lidded-basket-happy-hippo. Too adorable. Thanks for the giveaway. Recycled Rose Body Polisher, White, Made from recycled plastic. This is nice. I like the cloth wipes with the bug prints and the diaper pail liner. Eco-Friendly Cloth Wipes Diaper Bag Wipes - Build Your Own Bummy Wipes - Set of 50 - Gender Neutral - Customize Double Layer, and the Recycled Nesting Keepsake Boxes, are things I like. I think the trash robot is pretty neat. My kid would enjoy it. I love the forest choice colored pencil! I would really like to have the Solid Brown Double Cloth Wipes. I love the Cloth Wipes - and all those amazing colors! I saw lots to like at Green Apple Supply (including supplies!) I really got a kick out of the Recycled Flower Hook and lots of the recycled bags/totes - especially the http://greenapplesupply.org/shop-green/gifts/chicobag-messenger12-repete - in both colors. i like the Green PolkaDots print family cloth! I like neutral or bold colors. Today the Bummy Wipes in Solid Brown Double Layer are calling my name. I like the baby wipes in the Blue Bugs pattern! I love the wipes...all of them! Green Apple Supply has so many unique items! I like the Motherboard Nightlight! The Bottlecap Bowl is neat!